Phoenix Voyage, an educational multi-media production company, has proudly announced that it is welcoming new artists of all kinds in its art portal. The company has also revamped its entire art portal with an all-new look as well as new resources and activities. Moreover, the all-new Phoenix Voyage Art Portal is a one-stop destination for art lovers, art buyers and artists alike. In addition, the inspiring art portal offers a wide range of options to accommodate everyone. Founded in 2017, the online art portal is receiving an increasing number of visitors from around the world and is getting a phenomenal response. “Our new and improved art portal is a showcase for artists to offer their services or even people who are seeking to find a cool artist to work with on a project to land that perfect person.” Said Kerrie Claire, the Founding Director of the Phoenix Voyage, while talking about the art portal. “Here at Phoenix Voyage, we strive hard to inspire people, promote art and give everyone an opportunity to share their creative talent with the world.” she added. Phoenix Voyage is a division of Humanus Global Foundation with an aim to motivate, inspire and activate the communities globally. 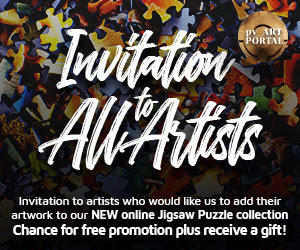 The new and updated portal now features an exciting puzzle section, which invites artists to join its one of a kind puzzle collection. Besides its jigsaw puzzle section, the portal also has a magazine section, memory game, and endless resources for art lovers, buyers and appreciators from across the globe. According to Kerrie, this portal will serve as a hub to connect the likeminded individuals from around the world because art is a universal language that everyone can understand. In addition, the art portal gives artists a unique opportunity to promote their websites for free, while also taking advantage of the resources. Similarly, art appreciators and buyers get a chance to contact the artist directly, while also finding perfect and genuine artwork. 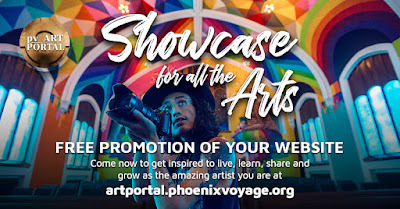 Another amazing feature of the Phoenix Voyage Art Portal is that it is absolutely free of cost and it is basically a free showcase for artists of all kinds. “We are inviting artist to add their artwork as a puzzle in our puzzle collection and we believe that it is an interesting way of showcasing their creativity with the world.” Kerrie added. According to the founder, solving puzzles strengthens brain cell connections, while also improving mental processes and speed of thinking. Furthermore, puzzles are also quite useful for any age and besides puzzles, Phoenix Voyage is known for developing many inspiring and useful games for its growing community.